Tie on the Rollerblade NJ5 Inline Skates and the city is your playground. The replaceable frame features a Super Lock Groove for grinds and slides, and places larger 60mm wheels at the toe and heel and smaller 42mm wheels at the inside positions for better clearance. The liner was designed specifically for street riding, with a polyurethane impact pad, and a double padded tongue to smooth out the ride. "Do the skates ride on 4 wheels or just the front and back wheels? " 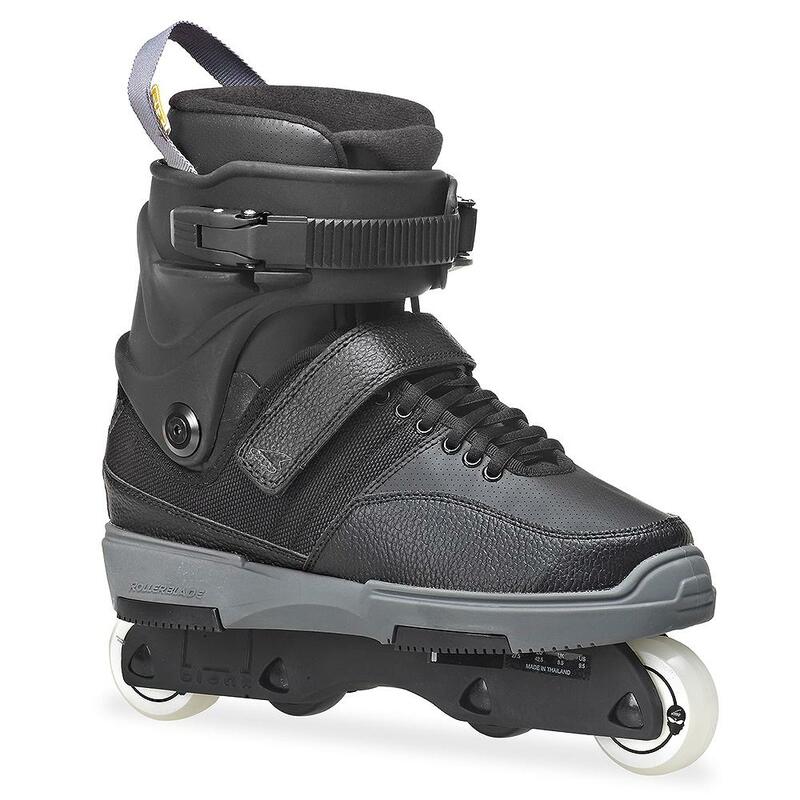 "The skates are anti-rocker and ride on just the front and back wheel. " "How many day does it take to ship to the customer? " "We offer 3 day free shipping for orders that are $49.00 and over. We hope this information helps! "